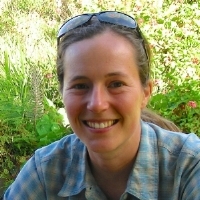 Dr. Gilbert is an a wildlife ecologist interested how animals respond to their changing environment, including animal behavior, population, and community ecology, as well as linkages between wildlife and humans. > Sophie's CV. Caitlin is currently working on a study of fishers colonizing Southeast Alaska near Juneau, and is keenly interested in carnivore ecology, habitat selection and community dynamics. Kayte is working on a joint project on ways to modify white-tailed deer and elk behavior in agricultural landscapes of Idaho using fear-increasing and nutrition-reducing treatments. She is leading the effort focused on white-tailed deer in the Clearwater Region. John is working on the elk portion of a joint project examining ways to modify white-tailed deer and elk behavior in agricultural landscapes of Idaho using fear-increasing and nutritien-reducing treatments. His project is located in south Idaho. Sam is a terrestrial ecologist interested in exploring questions that interface wildlife interactions with agents of landscape disturbance. He is currently exploring how wildfire, logging, and other habitat-modifying agents influence large-mammal-community interactions and ultimately affect mule deer populations in southeastern British Columbia.